Holy water (Theertham) : Amirtha Theertham. Sacred Tree (Sthala Vriksham) : Panneer Tree. Thevaram : Sambandar - 1. Timings : 08:00 a.m. to 11:00 a.m. and from 06:00 p.m. to 07:30 p.m. This is the 12th sthalam on the northern side of river Cauvery. Saint Thiruganasambandar has sung hymns in praise of Lord Shiva of this temple. The vimana above the sanctum sanctorum is called Dwaidala Vimana. Dasalinga is in the prakara. There are seven Lingas here with one having two Banas on the Avudayar. 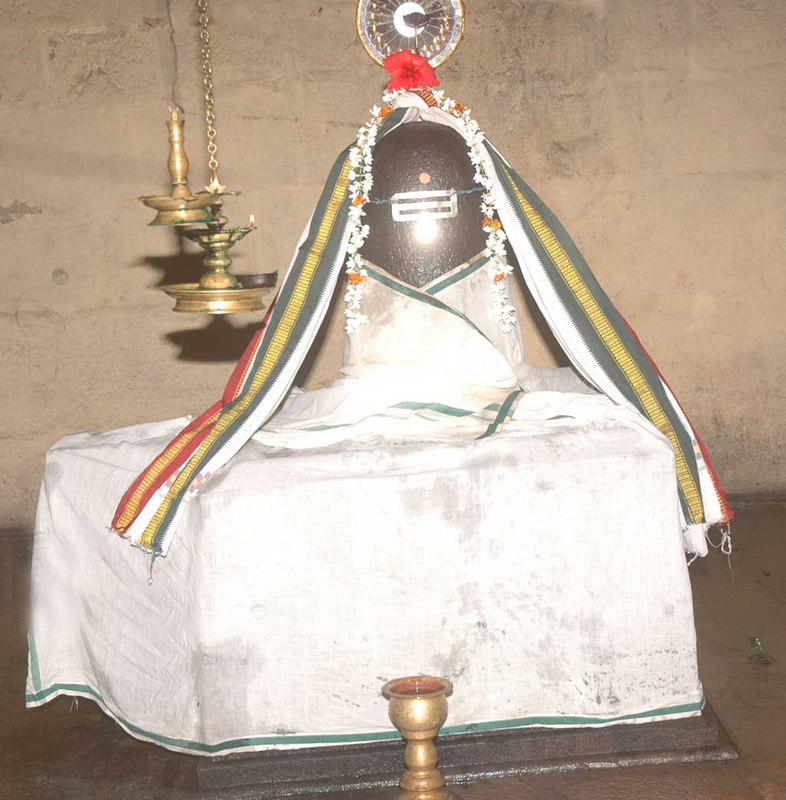 This is a rare and different Linga not commonly seen in Shiva temples. Mentioning this form in his hymn, saint Gnanasambandar says “Lord having Dasalinga with Him”. Tiruvengadu, known for Mercury planet worship is just a kilometer far from here. The manner in which the temple is constructed is said to cause a sound resembling the sea to be heard in the Dakshinamurthy shrine. Lord Dakshinamurthy is seated on a square shaped peeta facing west with 6 disciples though in temples He appears with four disciples, Sanakar, Sanathanar, Sananthanar and Sanathkumarar. He is also praised as Rajayoga Dakshinamurthy. As Lord Shiva was in the midst of a jungle –Aaranyam – He is also called Aranyeswarar and Kattazhagar in Tamil - Lord of the Jungle. Mother in a separate shrine is facing south. As all prominence is for Lord alone, there is no shrine for the Navagrahas the nine planets. Those who had been demoted from positions and those deprived of promotions despite honest and hard work perform special pujas to Lords Dakshinamurthy and Aaranyeswarar offering vastras. They believe that they will recover their losses. 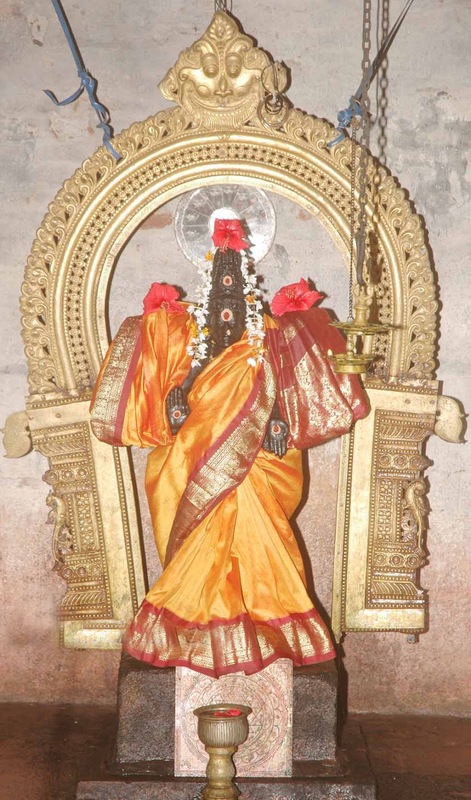 Lord Vinayaka, praised as Nandu Vinayaka was worshipped by a crab-Nandu in Tamil to regain his original Gandharva personality. The Nandu is his peeta. He does not have His Mouse vehicle with him as the Nandu plays the role. 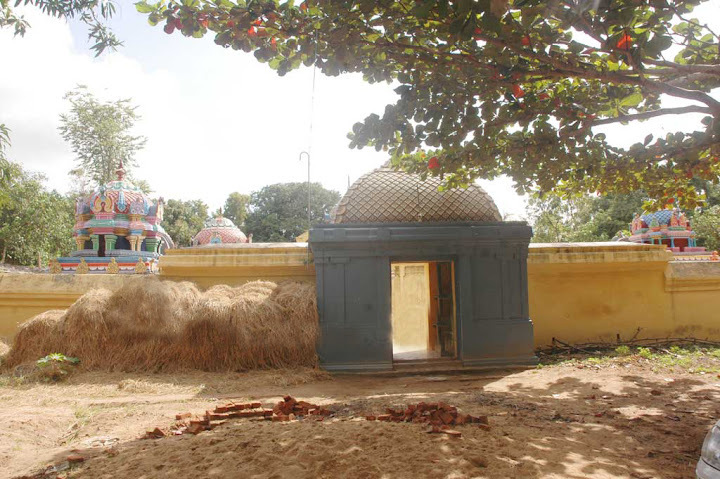 Lord Aranyeswarar also has His name after a sage of the name who worshipped here. The sculpture showing the sage worshipping Lord Shiva while Mahakalar is blowing the conch, is in the prakara. Devas appealed to Indira to protect them from the atrocities of demon Vruddhasura with the might of the boon he obtained from Lord Brahmma. Indira fought the demon and killed him and incurred the evil effect of the killing. He also lost his kingship of the Devas. As advised by his Guru, Jupiter, he came down to earth to worship Lord Shiva for remedy. He came to this jungle region-Aaranyam, found a Swayambulinga and performed pujas. Pleased with his devotion, Lord appeared before Indira and said that the effects of both good and bad deeds had to be experienced by all. Lord stayed here then as Aaranyeswarar. Shivarathri in February-March; Aipasi Skanda Sashti in October-November; Arudra Darshan in December-January and Vinayaka Chaturti in August-September are the festivals celebrated in the temple. Seeking pardon for sins committed unknowingly and to regain the lost position, people pray in the temple. Location: This sivasthalam is located 1 Km west of another Paadal Petra Sthalam Tiruvenkaadu and is about 11 Kms from Sirkazhi. Phone: 04364 - 256 273 ; +91 94439 85770 ; +91 98425 93244.